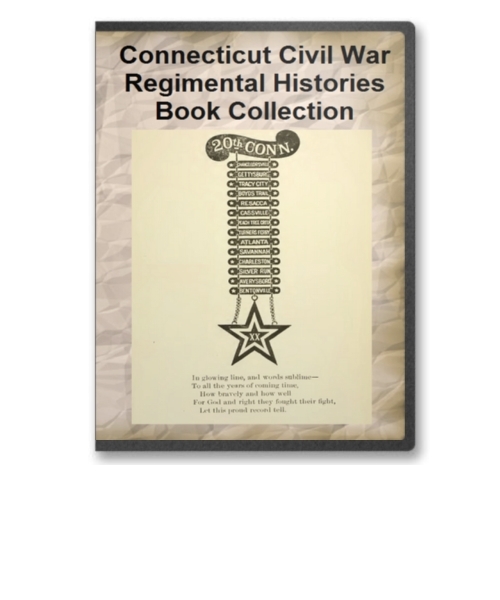 The Connecticut Civil War Regimental Histories book collection is a group of 24 books that detail the histories of various Connecticut based regiments during the Civil War. Many of the books are illustrated with specific events relating to their service as well as portraits of some of the members. These books are an excellent resource for the Civil War history buff as well as for those doing Civil War genealogy research. 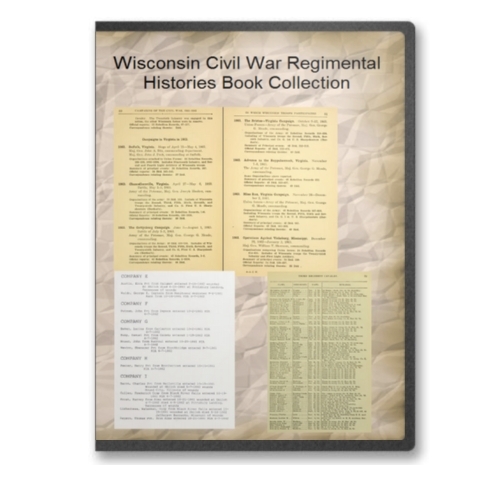 The Illinois Civil War Regimental Histories book collection is a group of 44 books that detail the histories of various Illinois based regiments during the Civil War. Many of the books are illustrated with specific events relating to their service as well as portraits of some of the members. These books are an excellent resource for the Civil War history buff as well as for those doing Civil War genealogy research. The Indiana Civil War Regimental Histories book collection is a group of 39 books that detail the histories of various Indiana based regiments during the Civil War. Many of the books are illustrated with specific events relating to their service as well as portraits of some of the members. These books are an excellent resource for the Civil War history buff as well as for those doing Civil War genealogy research. 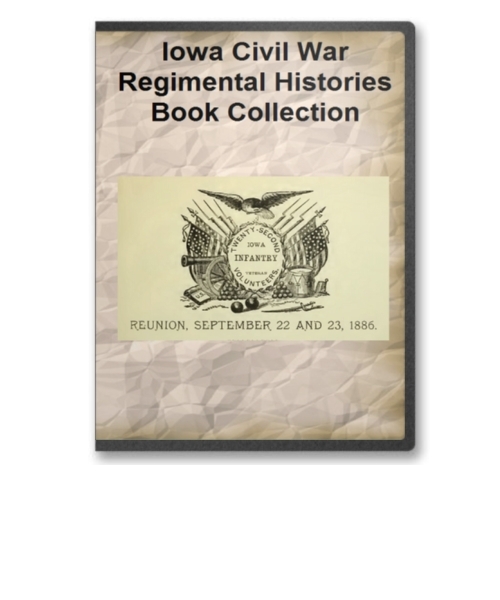 The Iowa Civil War Regimental Histories book collection is a group of 17 books that detail the histories of various Iowa based regiments during the Civil War. Many of the books are illustrated with specific events relating to their service as well as portraits of some of the members. These books are an excellent resource for the Civil War history buff as well as for those doing Civil War genealogy research. 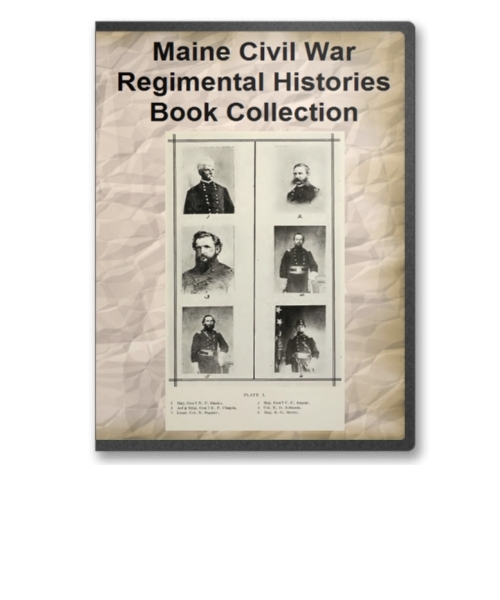 The Maine Civil War Regimental Histories book collection is a group of 17 books that detail the histories of various Maine based regiments during the Civil War. 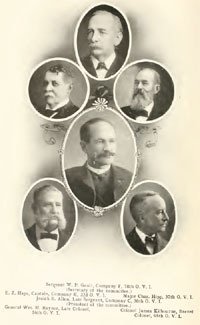 Many of the books are illustrated with specific events relating to their service as well as portraits of some of the members. These books are an excellent resource for the Civil War history buff as well as for those doing Civil War genealogy research. The Massachusetts Civil War Regimental Histories book collection is a group of 77 books that detail the histories of various Massachusetts based regiments during the Civil War. Many of the books are illustrated with specific events relating to their service as well as portraits of some of the members. These books are an excellent resource for the Civil War history buff as well as for those doing Civil War genealogy research. The New Hampshire Civil War Regimental Histories book collection is a group of 20 books that detail the histories of various New Hampshire based regiments during the Civil War. Many of the books are illustrated with specific events relating to their service as well as portraits of some of the members. These books are an excellent resource for the Civil War history buff as well as for those doing Civil War genealogy research. 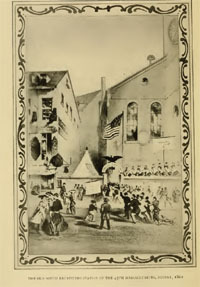 The New York Civil War Regimental Histories book collection is a group of 59 books that detail the histories of various New York based regiments during the Civil War. Many of the books are illustrated with specific events relating to their service as well as portraits of some of the members. These books are an excellent resource for the Civil War history buff as well as for those doing Civil War genealogy research. 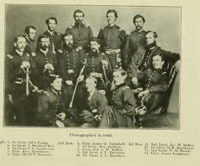 The Ohio Civil War Regimental Histories book collection is a group of 67 books that detail the histories of various Ohio based regiments during the Civil War. Many of the books are illustrated with specific events relating to their service as well as portraits of some of the members. These books are an excellent resource for the Civil War history buff as well as for those doing Civil War genealogy research. 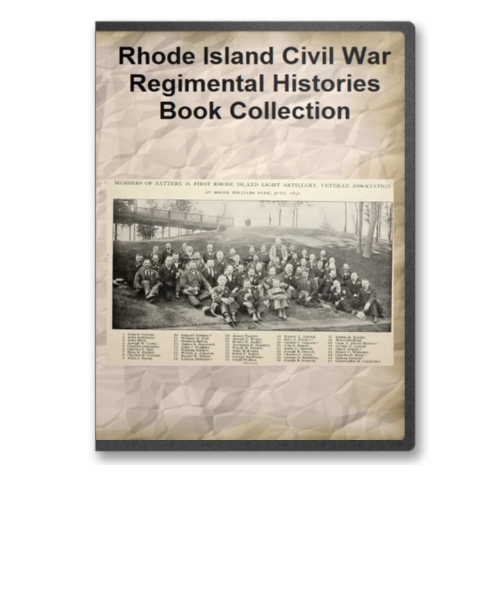 The Rhode Island Civil War Regimental Histories book collection is a group of 20 books that detail the histories of various Rhode Island based regiments during the Civil War. Many of the books are illustrated with specific events relating to their service as well as portraits of some of the members. These books are an excellent resource for the Civil War history buff as well as for those doing Civil War genealogy research. 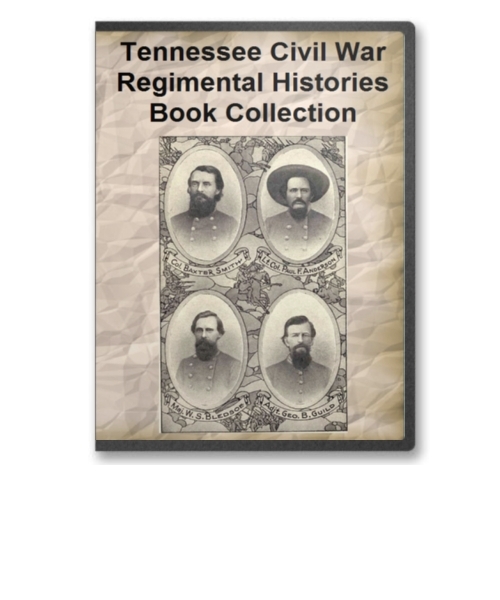 he Tennessee Civil War Regimental Histories book collection is a group of 12 books that detail the histories of various Tennessee based regiments during the Civil War. Many of the books are illustrated with specific events relating to their service as well as portraits of some of the members. These books are an excellent resource for the Civil War history buff as well as for those doing Civil War genealogy research. 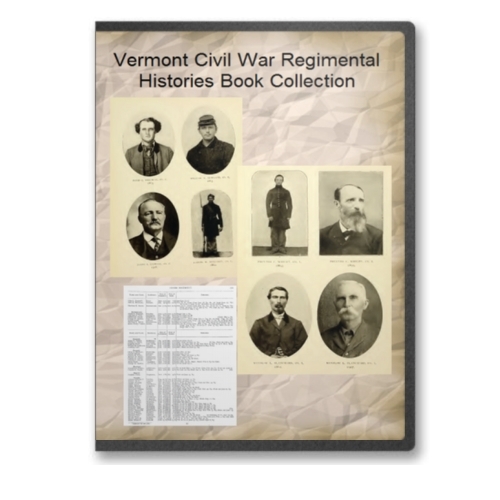 The Vermont Civil War Regimental Histories book collection is a group of 18 books that detail the histories of various Vermont based regiments during the Civil War. Many of the books are illustrated with specific events relating to their service as well as portraits of some of the members. These books are an excellent resource for the Civil War history buff as well as for those doing Civil War genealogy research. 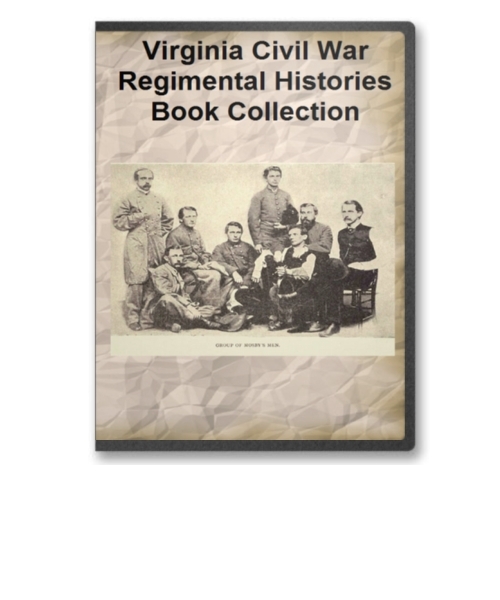 The Virginia Civil War Regimental Histories book collection is a group of 22 books that detail the histories of various Virginia based regiments during the Civil War. Many of the books are illustrated with specific events relating to their service as well as portraits of some of the members. These books are an excellent resource for the Civil War history buff as well as for those doing Civil War genealogy research.